Designer Bill Gaytten took some unlikely inspiration from literature for the spring John Galliano collection. The inspiration came from the 1967 novel, Picnic at Hanging Rock by Joan Lindsay. A collection created by the basis of Victorian couture with Gaytten adding a punk rock twist. 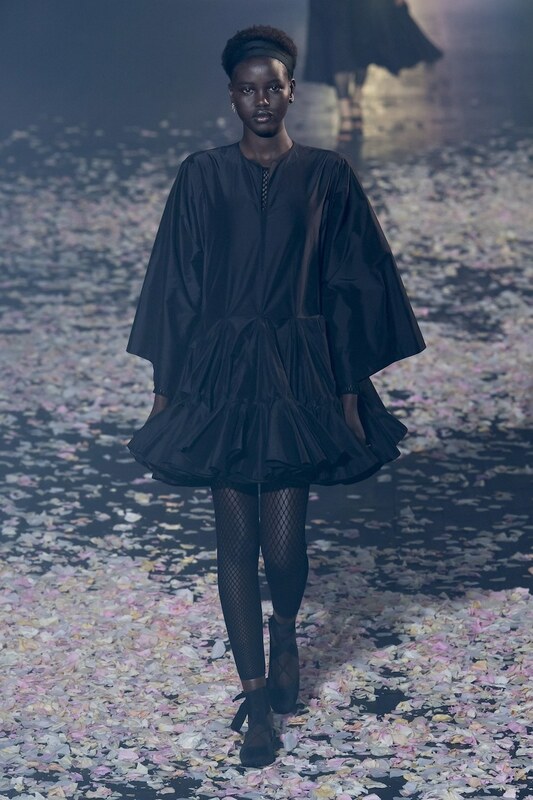 The coed collection included everything synonymous with the theme – from lace trimmed gowns, tulle pinafores and variations of Victorian era school uniforms. Each look appropriately accessorized with straw hats or era-appropriate hairstyles. 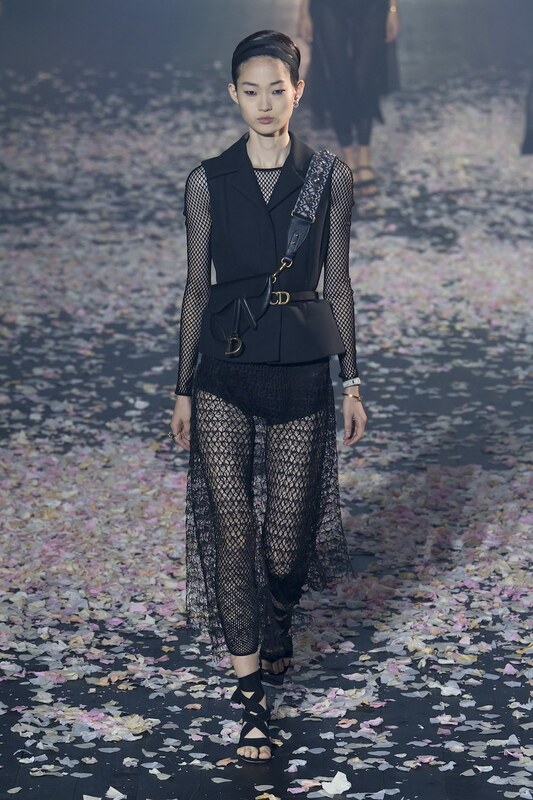 Lace-up boots and sheer fabrics where sheer wouldn’t have been welcomed in the olden days, added the edginess that Gaytten desired. 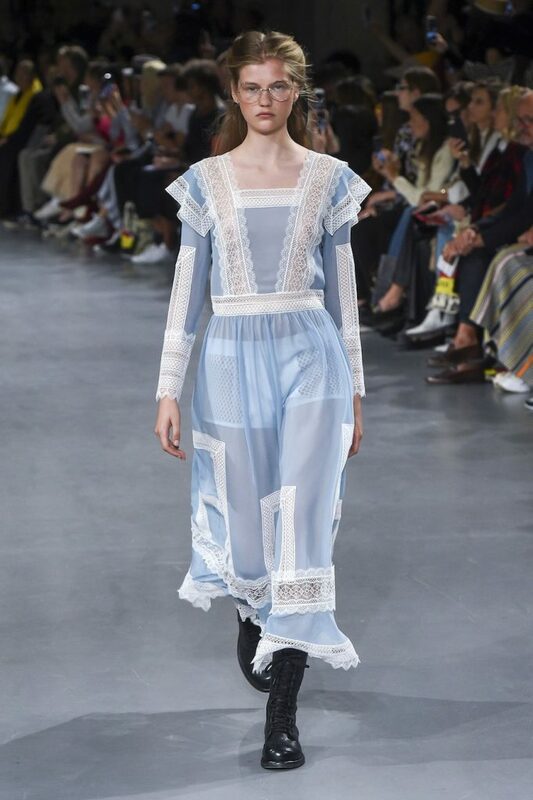 Galliano welcomed a spring collection that is far from prim – pretty with a few risqué touches, a perfect transition into Spring. 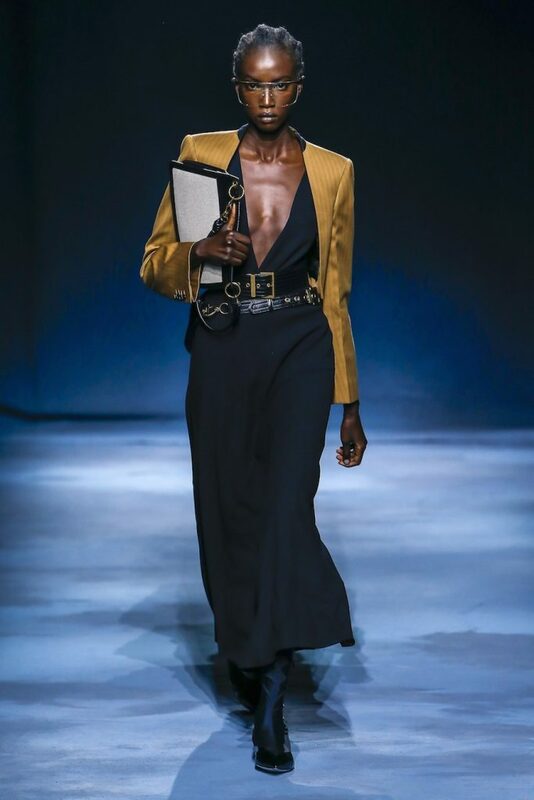 Any fashionista who loves tradition will describe the slight heartbreak that was felt when the fashion house, formerly known as Céline, dropped the accent from their ‘e.’ This was a move made by new creative director, Hedi Slimane to “enable a more simplified and balanced proportion” for the brand. However, the accent wasn’t the only thing that changed. 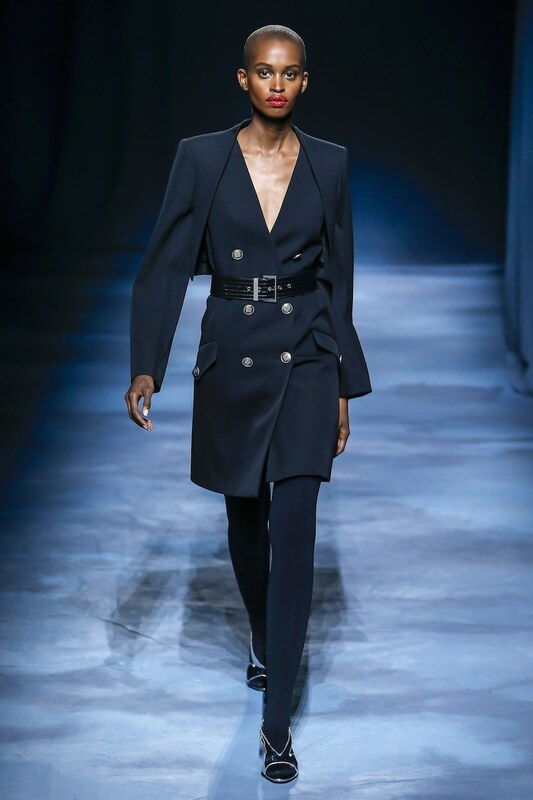 The new era of Celine was introduced at Paris Fashion Week and Slimane’s takeover is definitely evident in the Spring collection. A brand that once catered toward the professional woman’s taste during Phoebe Philo’s reign, has now shifted to catch the youth of the fashion world. The show was appropriately titled “Paris La Nuit” and the show notes were quite simply “Journal Nocturne de la Jeunesse Parisienne,” both telling phrases for Slimane’s new focus for the brand. The showcase included plenty of youthful elements with the girls dressed in short dresses, sparkles and studs – embodying an 80s glam moment. The boys on the runway mirrored the same retro-youth vibes with leather pants and shirts, shiny bomber jackets and animal print coats. The runway was filled with night life looks, not at all like previous Celine collections. 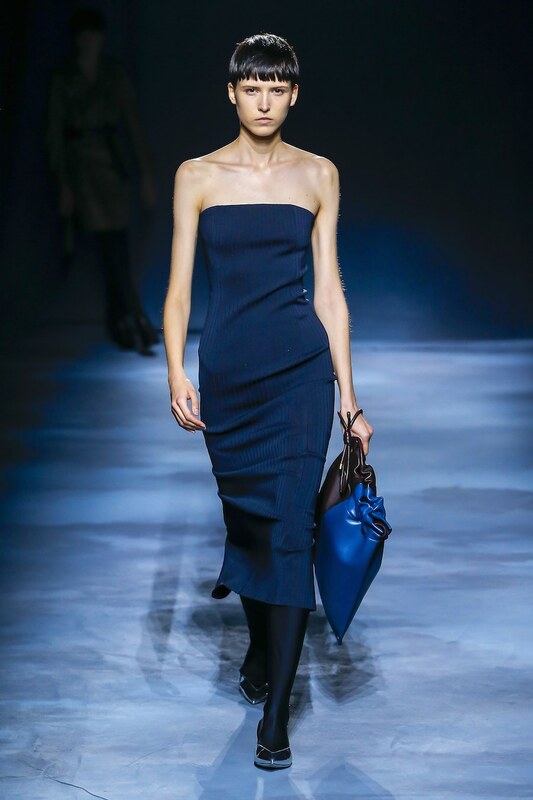 The show was the first look into the new Celine. Although the brand’s previous elements are not so present in this collection, and we would have appreciated a little more diversity among the models, we are looking forward to this new era. Dance was the topic of inspiration for Christian Dior’s new collection— a theme that has certainly been visited before, but Maria Grazia Chiuri wanted to ensure the night was one to remember. 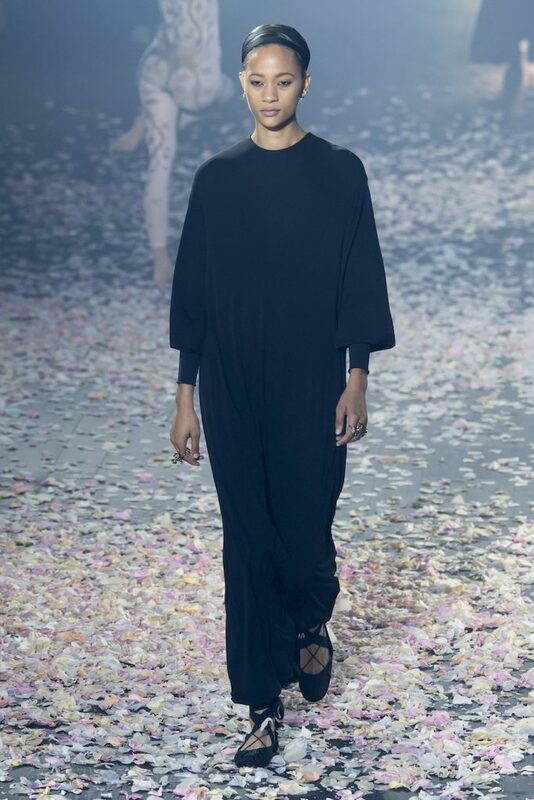 The runway became a performance stage as choreographer, Sharon Eyal allowed her dancers to open and perform throughout the show. 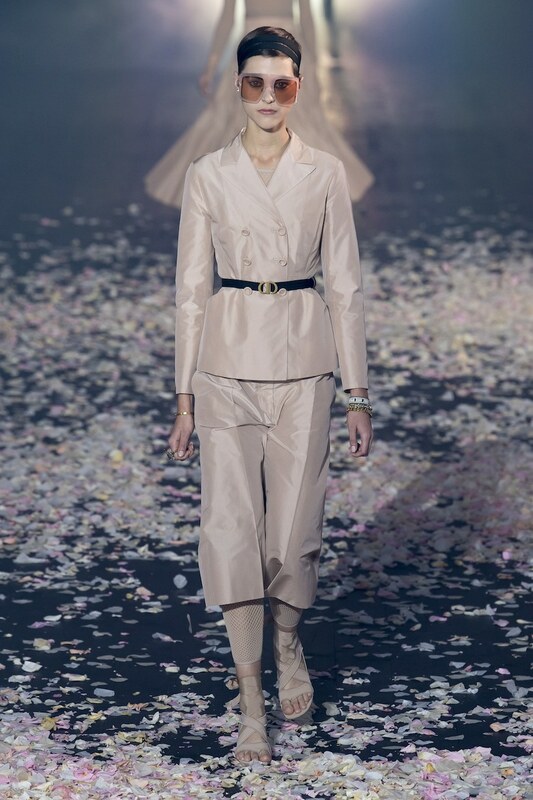 The theme of dance was evident and the show notes expressed that “dance and fashion define the body and, through discipline, teach us to own it.” This idea manifested itself into the Dior collection. Each look was form fitting —think elegant bodysuits— with graceful elements such as draping, light fabrics, pleats and full skirts. 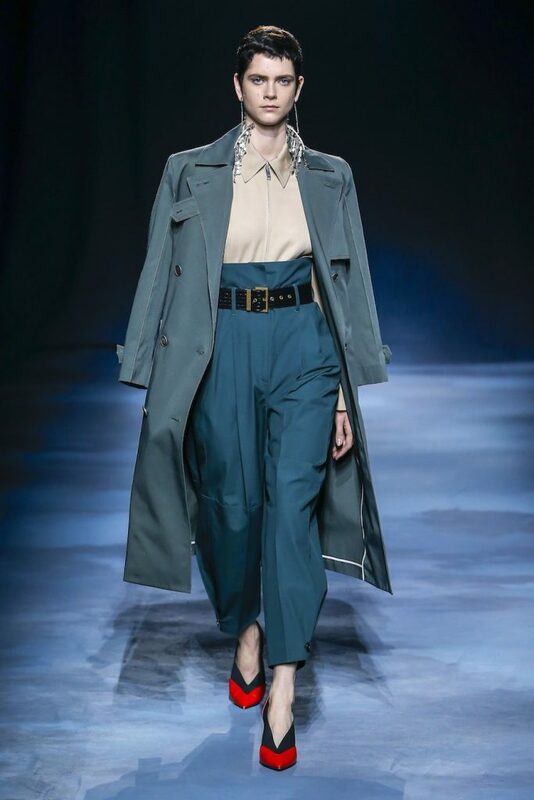 These pieces were made in neutral colours and followed by less fluid looks with navy and olive frocks, paired with cross body bags— offering a utilitarian feel. Graceful and empowering, allowing every woman to truly own their bodies. Givenchy’s Spring collection came to destroy gender norms. 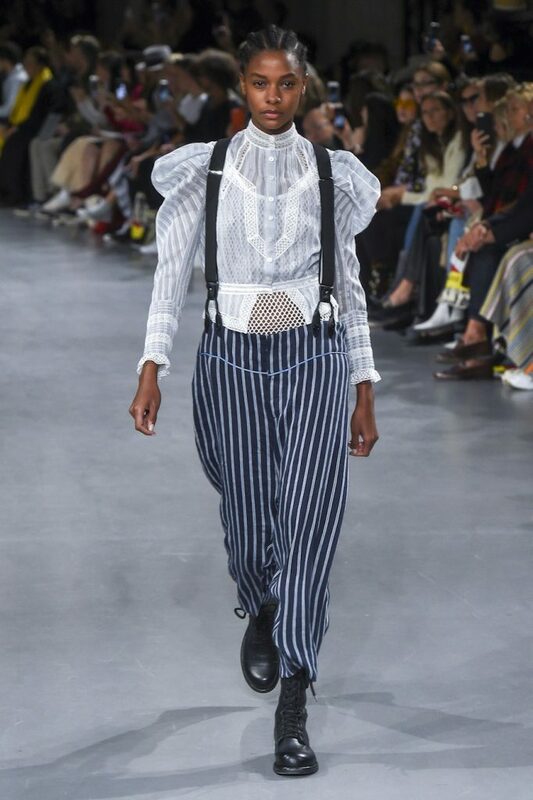 Designer Clare Waight Keller created a collection that celebrates women that are drawn to their masculine side and how this defines their femininity, including menswear that’s in touch with its feminine side. The collection was inspired by Swiss writer, Annemarie Schwarzenbach, who rejected gender norms at an early age by dressing like a boy, a girl—however she pleased. 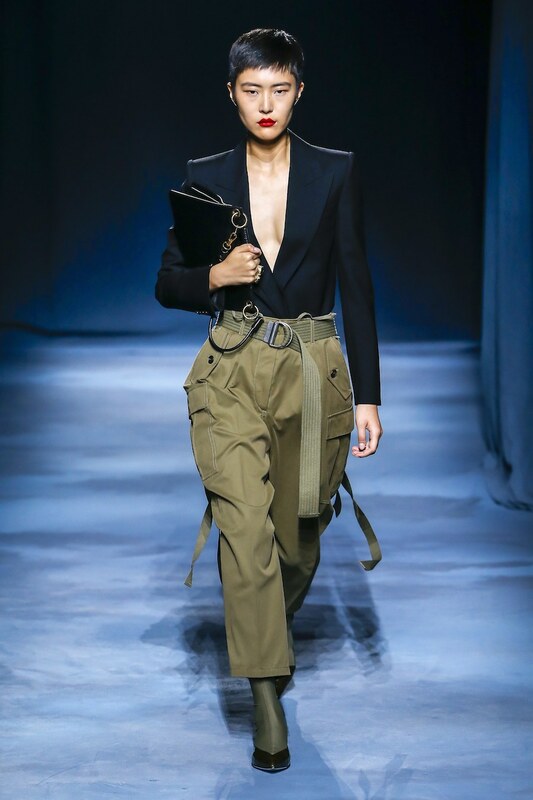 Waight Keller didn’t create a gender neutral collection but instead created a unified coed collection that presented masculine and feminine elements in every piece. A chic showcase of monochromatic hues, evoking a feeling of strength throughout. 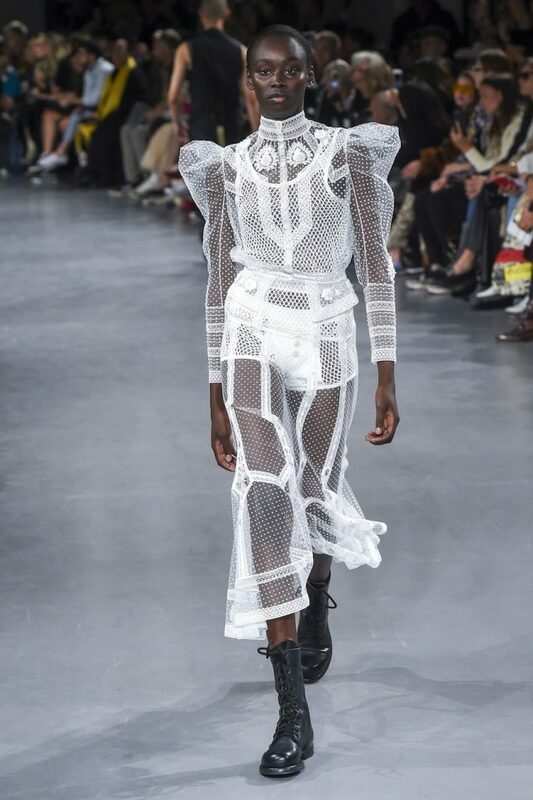 The womenswear included dresses tailored with small shrugs around the shoulders that resembled armour, still keeping with flowing, feminine silhouettes. 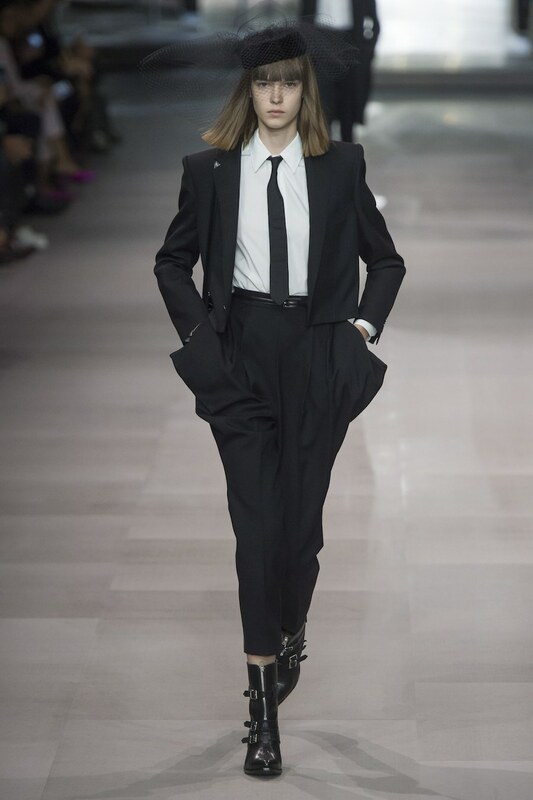 The dresses were followed by tuxedo jackets tucked into loose fitting pants, creating a masculine structure with touches of femininity by the cinched waists and cool colours. The menswear was a little less groundbreaking but did include many refreshing feminine elements including a lilac coloured suit and more defined, higher waistlines with select looks accessorized with modern crossbody bags.